I am a bit obsessed with Halloween costume themes, as you might recall. Last year the kids wanted to be superheroes, which I thought was an excellent idea. I purchased their capes from Power Capes, and they LOVED them. As a matter of fact, they didn’t just wear them on Halloween, but continue to wear them today. There have been days where Henry has worn his cape all day long…to the grocery store, to the park, to the bank…he’s Super Henry! The capes have held up so well considering the wild children who are wearing them. They are great capes that have encouraged hours and hours of creative play with the kids. 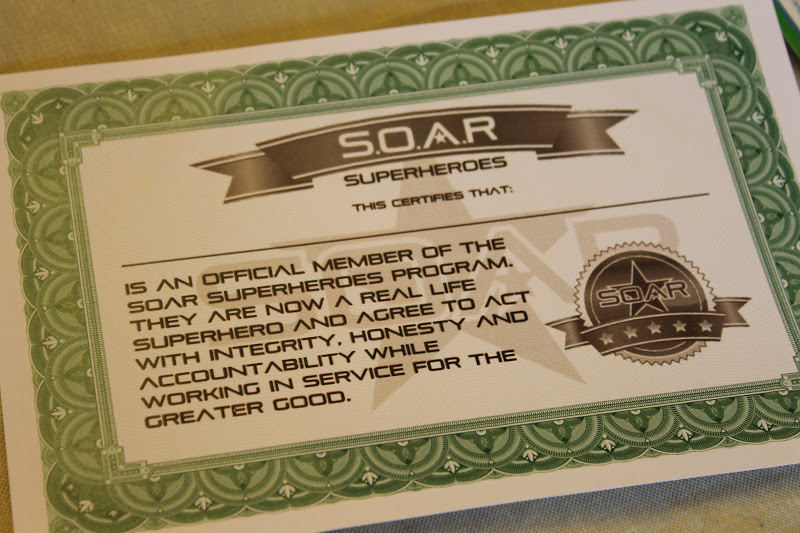 As you can tell, I’m already partial to Power Capes, so you can imagine when they contacted me about reviewing their new SOAR club I was pretty excited! 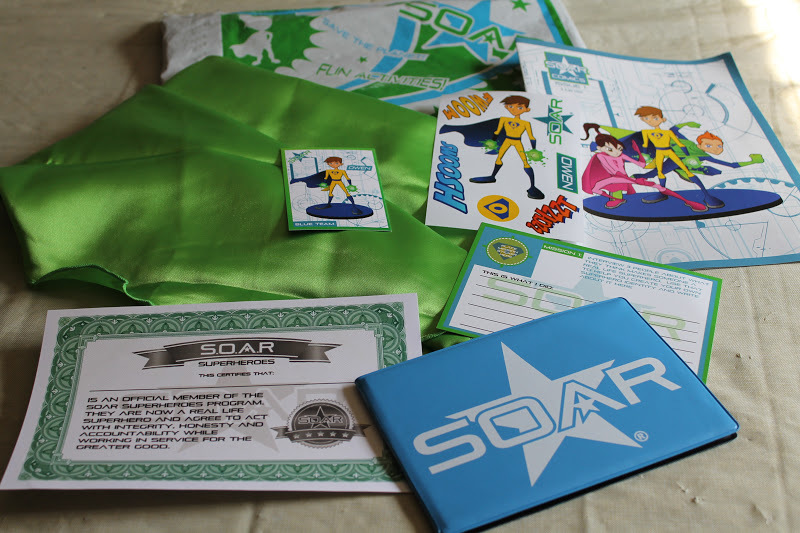 SOAR Superheroes turns your child into a real life superhero so they can save the world! Inspire your child to SOAR! 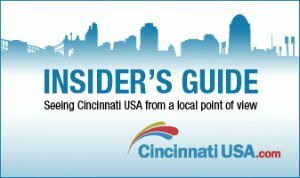 They will have fun while making the world a better place as they expand their imagination and learn about helping others. Every month your child will receive a new mission, where they will be informed of a global issue using fun games, puzzles, stickers, comic and be assigned a mission to help make the world a better place. 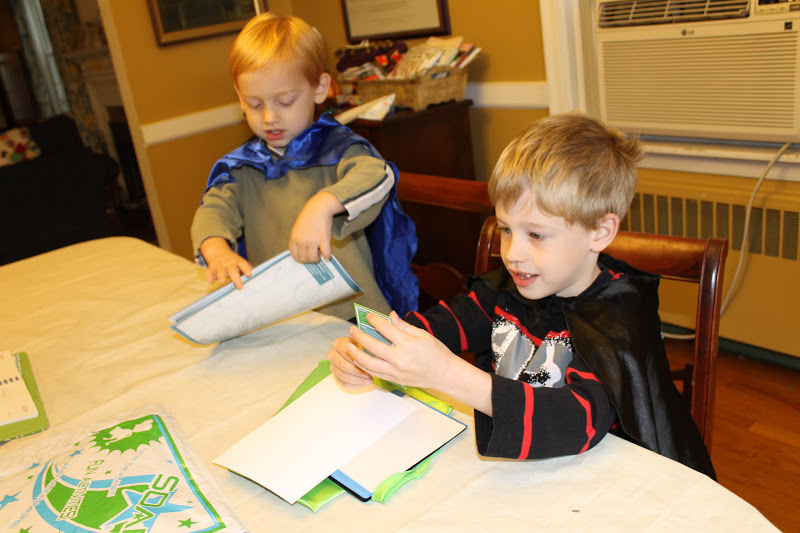 Our first Mission package included a comic book, a trading card, a mission card, stickers, a Mission book, Official Superhero certificate and a SUPERHERO Cape! After the first month’s package the package will include other superhero gear in addition to the other great stuff like secret assignments, mission stickers, playing cards, activity sheets and such. The boys were over the moon about this package, they even put on their power capes to open it, and then proceeded to spend the entire afternoon (and many afternoons since then) completing missions and doing some amazing super hero missions around the house. I love that they are learning about making the world a better place, learning to play cooperatively together AND using their imaginations. They took their missions very seriously. And then they expanded upon what they got in the mail by creating new missions to do around the house. I loved it! 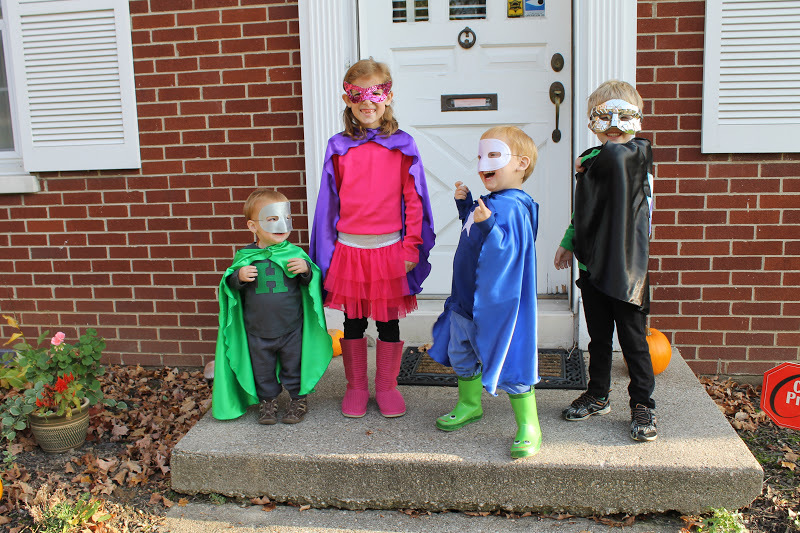 You might ask, why we needed another cape that came with the package when all of the kids already have one, and the answer is…for visiting superheroes of course! It’s always nice to have extra dress-ups around the house. Are you interested in signing up your little superhero for the SOAR club? 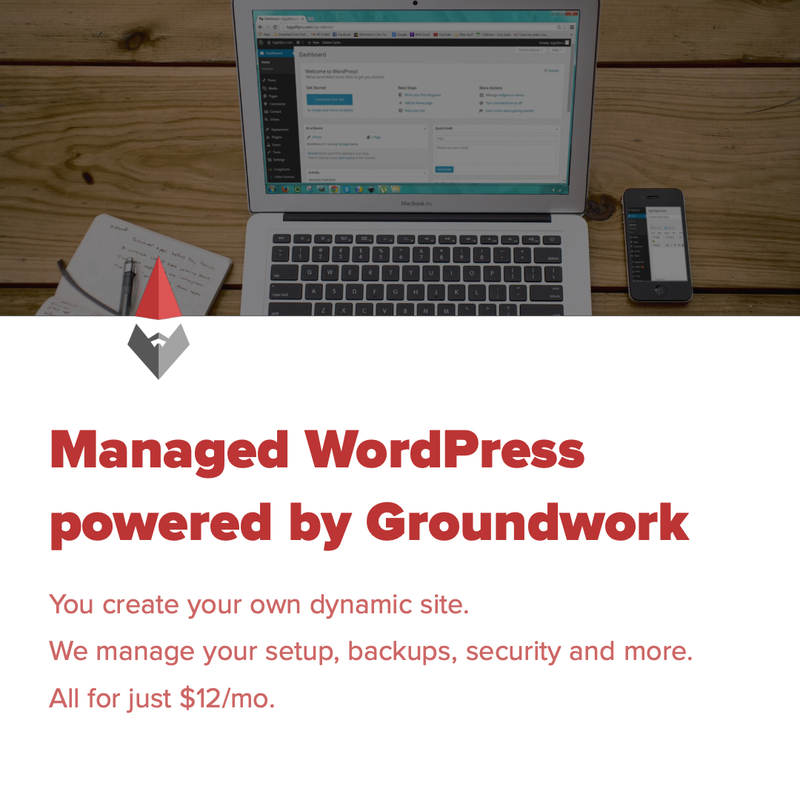 Go to their website and check it out. This would also make a great gift for a child’s birthday or Christmas. Trust me, they will get hours of enjoyment out of each package! Disclaimer: I was given a free month’s subscription to the SOAR club to review. The opinions about Power Capes and the SOAR club are all my own of course.